Last week the Georgia Judicial Qualification Commission dismissed the complaint against Appalachian Judicial District Chief Superior Court Judge Brenda Weaver. 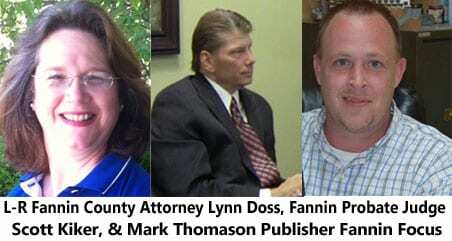 The complaint was submitted to the JQC by Mark Thomason, former publisher of the Fannin Focus, his attorney Russell Stookey and Fannin County Attorney Lynn Doss. In the JQC conclusions they addressed the Georgia Chapters Society of Professionals Journalist complaint that Weaver mounted an attack on freedom of the press. Stookey and Thomason with the assistance of Fannin County Attorney Lynn Doss raised a complaint to the FBI to initiate an investigation. 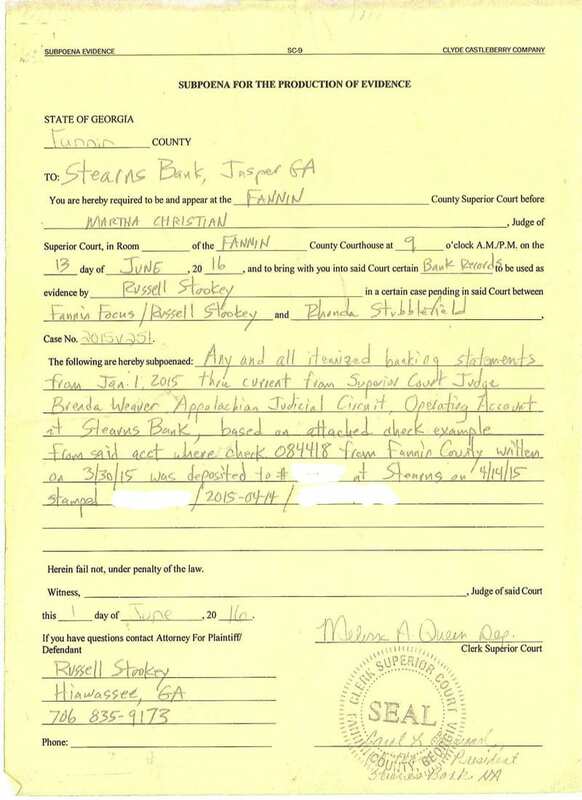 On June 15th Atlanta Attorney Gerry Weber, representing Russell Stookey and Mark Thomason, sent a demand letter and Ante Litem Notice to Judge Brenda Weaver, District Attorney B. Alison Sosebee and Pickens County Board of Commissioners. How far will this case go considering the FBI and JQC have closed their investigation both dismissing the possible charge of wrongdoing. Click to read “Fannin Focus Publisher Mark Thomason Arrested, Journalist or Vendetta? Next Article » Can The Swamp Be Drained? Monday afternoon July 18th in a Pickens County Courtroom Senior Judge Richard Winegarden signed the nolle prosequi orders dropping the charges against Fannin Focus publisher Mark Thomason and Attorney Russell Stookey. Thomason and Stookey were arrested Friday 6-24-16. Thomason was charged with three counts; identity fraud, attempt to commit identity fraud and making a false statement. Stookey was charged with two counts; identity fraud and attempt to commit identity fraud. Appalachian Judicial District Chief Superior Court Judge Brenda Weaver filed the complaint with the District Attorney’s office. District Attorney B. Alison Sosebee presented the charges to a Pickens County Grand Jury made up of sixteen citizens. The Grand Jury returned true bills on both Thomason and Stookey. When the charges were dropped that made the file concerning this case open for the public to view, FYN spent Friday afternoon thoroughly reviewing the file. I listened to the witness interviews several times. Immediately after the court adjourned Fannin County Attorney Lynn Doss did an interview with Channel 2’s Mark Winne. (Doss interview with Mark Winne.) She told Winne she has spoken with the FBI three times since March. Mark Thomason, Russell Stookey, Lynn Doss, and Fannin Probate Judge Scott Kiker have made claims that there is currently an FBI investigation into Judge Brenda Weaver and Judge Roger Bradley. Thomason, Stookey, and Doss have made the same claims concerning the FBI during interviews. Witness interviews claim Kiker told them about the FBI investigation in detail. Throughout the DA’s investigation one name kept coming up, County Attorney Lynn Doss. 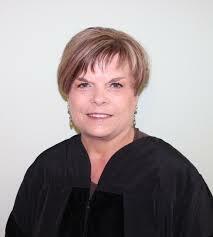 It is common knowledge in the Appalachian Judicial District that Doss does not care very much for Judge Roger Bradley. I stated in a previous article a comment Doss made to me regarding her feelings for Bradley. Doss serves as the Attorney for Fannin County, Fannin County Water Authority, and the Fannin County Board of Education. Her husband Harry Doss is the Fannin County Juvenile Public Defender and the Fannin County Probate Judge Public Defender. The Doss’s have received a lot of money for several years from Fannin County taxpayers. Side note, FYN has researched Doss and Kiker court cases from Cobb to Towns Counties and have found several cases where Lynn Doss and Scott Kiker are co-counsel. See any conflict with that? Doss is public defender in Kiker’s courtroom. Also what happened to the promise Kiker made the voters of Fannin County that he would be a full-time Probate Judge? Far from it, Kiker has private cases in several counties. And that is a story for another day. Lynn Doss thoroughly understands attorney/client privilege so why would she risk losing a client like Fannin County Board of Commissioners who pays her $5,708 per month, $68,496 a year? I asked Chairman Bill Simonds if he knew that Fannin County was being investigated by the FBI and also if he knew Doss was speaking to the FBI? Simonds told us he just found out in the last couple of weeks and was not aware of any conversations Doss was having or may have had with the FBI. Remember the checks from the Judge’s account which Thomason claimed appeared to have been illegally cashed? Who gave the checks to Stookey or Thomason? During an interview with DA Investigator Greg Arp, Simonds told Arp he understood that Doss said she thought the FBI would be contacting her and so Doss wanted the checks. Simonds went on to say, his understanding was that Doss gave the checks to Stookey who in turn gave them to Thomason. So if Doss told Simonds about the FBI possibly contacting her why did she not come back to her client (Fannin County) and confirm her involvement with the FBI investigation once she was actually contacted? The DA’s investigators Greg Arp and Christy O’Dell interviewed Rita Davis Kirby. Kirby is Fannin County’s CFO. Kirby told investigators that she gave the check in question to Doss and only Doss. Kirby was asked if the FBI had made any requests to the commissioner’s office? The reasoning behind the investigation is there is a problem about ‘if’ the checks have been cashed and they’re not supposed to be cashed. Lynn said on the back of the check in the upper left hand corner on Judge Bradley’s checks there are numbers that go across and we understand and were told it was a teller override. (Rita said) I told her that was not a teller override and Lynn said, I spoke to Ruth Jordan and she told me that it was a teller override. Kirby implied throughout the interview that she feels that Doss shares county information with Thomason. Did Ruth Jordan tell Lynn Doss that the checks appeared to have been cashed because of the numbers on the back of the check? Jordan is the Blue Ridge Branch Manager of Community & Southern Bank. DA Investigators O’Dell and Arp interviewed Jordan. Jordan immediately let them know she could not answer questions for the bank but she could talk about procedural issues. If we show you the back of the check could you tell us if it’s a teller override? So you couldn’t look at the back of the check and tell if it’s a teller override? So you haven’t talked with Miss Doss? Investigator, The only reason you are here is because your name specifically has come up as having a conversation with a certain attorney that has indicated that you were able to tell them from the back of that check. You have not had any conversation with Mrs. Doss regarding any of this? Investigators showed Jordan the check that supposedly had been cashed illegally. Jordan said there was nothing on the check that indicated a teller override or that it had been cashed. A check when deposited with a teller show the teller’s number so why not just go to the teller and ask if they cashed or deposited the check? So why did Doss tell Simonds and Kirby that Jordan said the check appeared to be cashed? Who told Thomason the check appeared to be cashed? Remember that is what Thomason said in the email he sent Pickens County Commissioner Rob Jones. The email to Jones was an for an open records request. Who gave Thomason his information? What about the FBI Investigation? In one witness interview with “Mr. X” he tells Arp and O’Dell that there are two FBI agents doing the investigation. FYN has learned the name of one FBI Agent, Jamie Harter. Mr. X told Arp and O’Dell the following: Scott Kiker told me that a whistleblower came to Mark Thomason. Kiker would never tell me who the whistleblower was. Only thing Kiker told me was that the whistleblowers had been granted immunity from prosecution. There are two FBI agents. Kiker said the reason he got involved was he and Thomason had to sign a paper before the FBI would investigate. They had to sign a paper saying that Mark had asked them to come up here. Thomason told Kiker he was afraid to sign it without some legal representation so he requested Scott Kiker to be his legal representation and then he signed the thing and gave it back to the FBI. So if Scott Kiker is Thomason’s legal counsel concerning the FBI investigation does he know who the whistleblower is? Does he know whom the FBI offered immunity? FYN has reached out to Lynn Doss and Scott Kiker with a list of questions. At the time of this article they have not responded. At the bottom of this article you will see a list of questions we have asked both Doss and Kiker. We will post their answers as soon as they respond. Remember the attempt to commit identity fraud in the indictment of Thomason. We found something very interesting in the DA’s file. It may be irrelevant but we feel it’s worth mentioning. In this letter from Assistant District Attorney Chase G. Queen of the Enotah Judicial Circuit, Thomason may have committed identity fraud. FYN would like to be clear regarding the allegations of “cashed checks” there hasn’t been any proof presented at this time which supports the claims of checks being cashed. Below is the list of questions for Fannin County Attorney Lynn Doss and Fannin County Probate Judge Scott Kiker. 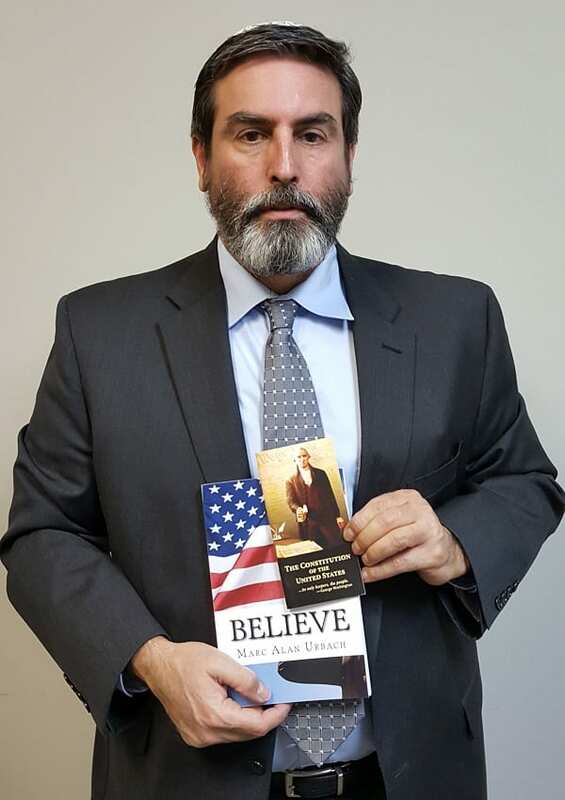 I have reviewed the entire file including listening to all of the witness interviews in the case that was dropped last week against Mark Thomason and Russell Stookey. One witness stated that Thomason had to sign a form and send it back to the FBI before they would look into Thomason’s complaint. The witness stated that he (Thomason) brought the paperwork to you and I understand you signed as Thomason’s Attorney. Did you sign a document along with Mark Thomason that was sent back to the FBI? Have you spoken to or met with the FBI? Have you and Lynn Doss ever spoken with or met with the FBI together? Did Lynn Doss tell you she was speaking with the FBI? When was the first time you knew that Lynn Doss was involved with the FBI investigation? One witness said that you told him there was a whistleblower at UCBI and the FBI has granted this person immunity from prosecution. How are you aware of this information? Who told you (Mark Thomason, Lynn Doss, FBI…)? Do you know the identity of the whistleblower? One witness said that when he confronted you about the whistleblower and UCBI you said it was a rumor Mark Thomason started. Is it a rumor? Did you represent Greg Joseph Staffins in a shoplifting case in Union County? 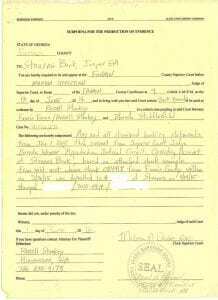 Does the Fannin County Probate Court have or use investigators? Has Mark Thomason ever worked for the Probate Court as an investigator? Are you aware that allegedly Mark Thomason went into the Blairsville Wal-Mart and identified himself to Wal-Mart employee Jeff Griffin as an investigator for the Fannin County Probate Court specifically Judge Scott Kiker’s Investigator? According to Jeff Griffin, Thomason asked to see Wal-Mart case reports on the shoplifting case against Greg Joseph Staffins. Was your office ever contacted by the Union County DA’s office inquiring about Thomason’s relationship to the Probate Court and yourself? I am working on an article concerning a possible FBI investigation you discussed in a recent interview. I have listened to the witness interview from the Mark Thomason-Russell Stookey case and have several questions. You said you have communicated with the FBI 3 times. Were those phone conversations or meetings? Did you provide the FBI with any Fannin County documents? At any time did you make the Fannin County Chairman Bill Simonds aware of your involvement with an FBI investigation? Who (name) did you talk to at the FBI? Did you give the checks in question to Russell Stookey or Mark Thomason? Did you contact the FBI first? Did Ruth Jordan tell you the numbers on the check showed the checks had been cashed? Did you tell Chairman Simonds, with Rita Kirby present, that you gave the checks to Stookey and that Ruth Jordan told you the checks had an override number on them indicating they had been cashed? Did you tell Mark Thomason the checks appeared to have been cashed? Have you ever had a conversation with Scott Kiker concerning the FBI investigation in this matter? Has Scott Kiker or Mark Thomason shared with you the name of the whistleblower? Have you signed any paperwork with the FBI? Fannin Focus Publisher Mark Thomason Arrested, Journalist or Vendetta? 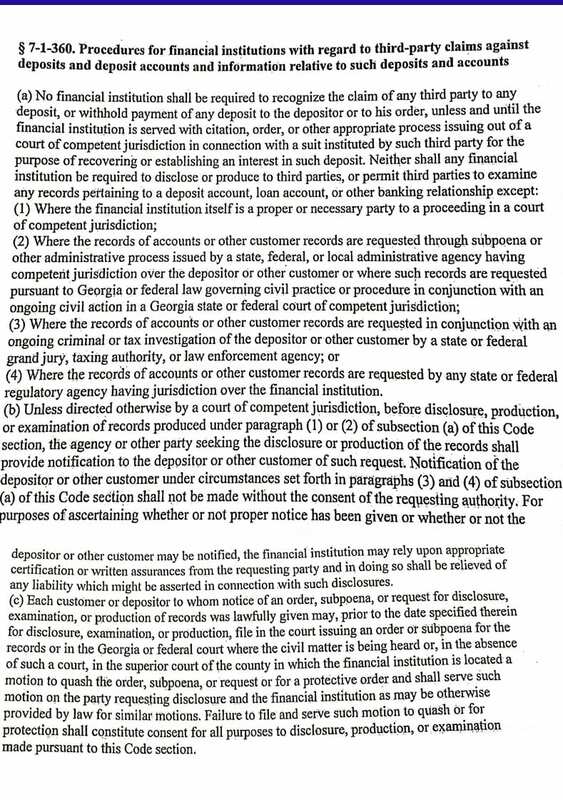 In the case of the Fannin Focus publisher Mark Brannon Thomason and Attorney Russell Stookey, there a several questions that remain unanswered about the subpoena for bank records. How did they get the bank account number on the subpoena? Who gave them checks with the account number? Thomason said some checks appeared to have been cashed. Who told him the checks appeared to have been cashed? FYN held interviews with Russell Stookey, Fannin County Financial Director Rita Davis Kirby. Subsequent to those interviews, Mark Thomason released a statement concerning the checks, but first some back story. Appalachian Judicial District Chief Superior Court Brenda Weaver filed the complaint with the District Attorney’s office. DA, B. Alison Sosebee presented the charges to a Pickens County Grand Jury made up of sixteen citizens. The Grand Jury returned true bills on both Thomason and Stookey. The State and National media pounced on the sensationalism of “journalist went to jail violating his First Amendment Rights, freedom of the press”. They didn’t seem to be interested in researching any of the facts of the case. So why should they research when they have hooked the big fish, head of the JQC (Judicial Qualifying Commission), Brenda Weaver. Now that is a fish you don’t throw back into the water regardless the facts. Judge Weaver sent DA Sosebee a letter requesting the charges against Thomason and Stookey be dropped. DA Sosebee has prepared a motion to have the case dropped. Senior Judge Richard Winegarden has announced he will hold a hearing for the dismissal of the charges brought against Mark Thomason and Russell Stookey on July 18 at 3pm in Pickens County court. If Judge Winegarden dismisses the case, that still begs the question, were the un-redacted checks given to Thomason or Stookey or both? When an open records request is filed with the County for banking information, it is the responsibility of the County CFO to redact the account and routing numbers from the check before releasing the check. The Fannin County CFO is Rita Davis Kirby. FYN interviewed Russell Stookey Tuesday on our morning show, “Good Morning from the Office”. Here is the transcript of some questions we asked Stookey about the subpoena and checks during our interview. What were you looking for with the subpoena? Copy of the redacted subpoena. Question – how did they know what check number they were looking for? “We were looking for one check, that’s all we needed. We got in trouble because we were asking for that one check”. The subpoena on Stearns Bank had account numbers on it and during the interview, Stooked agreed that when you do an open records request for checks, the account numbers are to be redacted..
Where did you get the bank account numbers to do the subpoena? I showed Stookey a copy of the subpoena on my computer. I asked Stookey if he had seen the letters from the three county CFO’s (Pickens – Faye Harvey, Gilmer – Sandi Holden and Fannin – Rita Kirby) stating that after reviewing the checks that they appeared to be properly endorsed and deposited. Stookey responded that he had not seen them but he was aware of them. Click to watch our video interview with Russell Stookey. After our interview with Stookey, Mark Thomason the publisher of the Fannin Focus released the following statement: “Any and all information contained on a subpoena served to Stearns Bank was acquired through open records request filed on Fannin County by Mark Thomason. Copies of checks and any banking information were provided to the Fannin Focus by Fannin County Financial Director, Rita Kirby. No banking numbers were redacted by Mrs. Kirby and were disclosed through a proper open records request that was filed”. FYN interviewed Fannin County Chief Financial Director Rita Davis Kirby last Friday live on our show from Sycamore Crossing in downtown Blue Ridge. “First and foremost, I did not give them (the checks) to Mark Thomason. The checks he received were received through means other than myself. I gave those checks he’s talking about directly to our County Attorney Lynn Doss”. County Attorney asked for them? And you gave them to her? Click to watch our video interview with Rita Davis Kirby. Please note: It is not necessary for Kirby to redact information when giving the information to the County Attorney. When Kirby wrote her letter concerning her review of checks possibly being cashed, she stated that the checks appeared to be endorsed and deposited properly but Kirby went one step further by referencing her previous banking career. you referenced. As you are also aware, I am listed as a witness. Therefore, it is not appropriate for me to make any comment. Thank you”. Judge Richard Winegarden may dismiss the case against Thomason and Stookey Monday but one thing is for sure, he can’t dismiss the facts. FYN has done an open records request for the complete file on this case. We want to know the full story concerning the checks. This story will not end Monday…it will be just the beginning.